Rasgulla is a traditional Bengali sweet. Rasgulla also known as Roshogolla, is regarded as the 'King of all Indian sweets'. I have tasted two different textures of this sweet, Haldirams rasgullas are different from the rasgullas available in the local sweet shops. The local sweets are very juicy with sugar syrup dripping from them with a melt in the mouth texture while Haldirams rasgullas are not very soft. They have more of a crumbly texture. 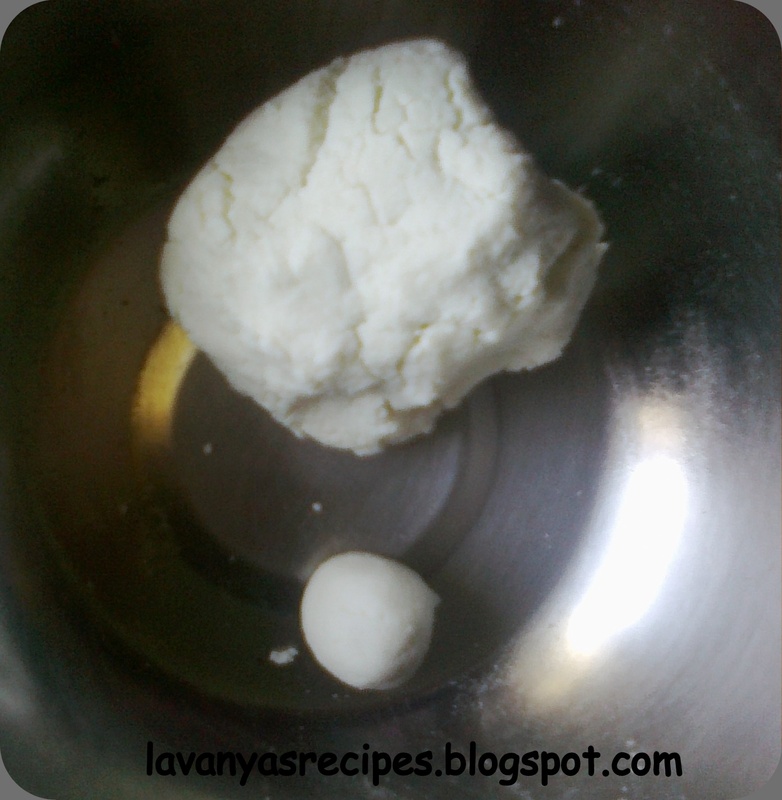 The rasagullas I made were somewhere between the two. Boil milk on low flame and add lime juice to it. Keep stirring. The milk curdles into white mass and yellowish liquid which is called whey water ( the whey water can be stored in the fridge and used instead of lime juice for preparing rasgullas the next time or even for kneading chapathi dough for super soft rotis). 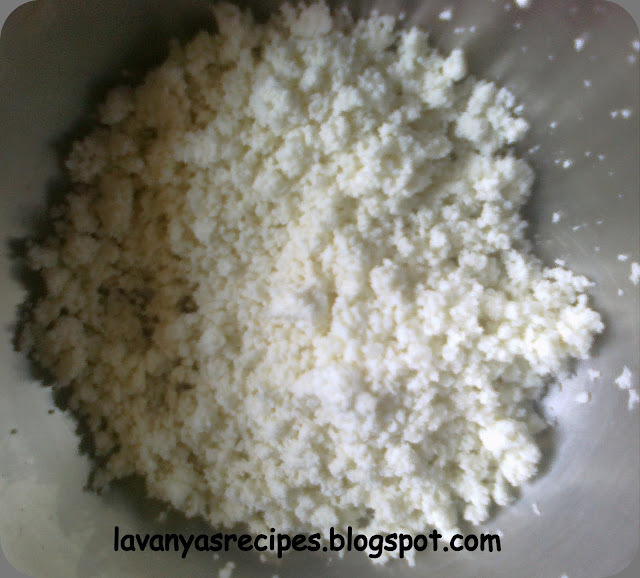 Separate the whey water, collect the white mass onto a muslin cloth and wash 3 times to get rid of lemon smell. Hang it on kitchen tap for 2 hours. Now the mass must have become crumbles. Knead well into a smooth dough without cracks. 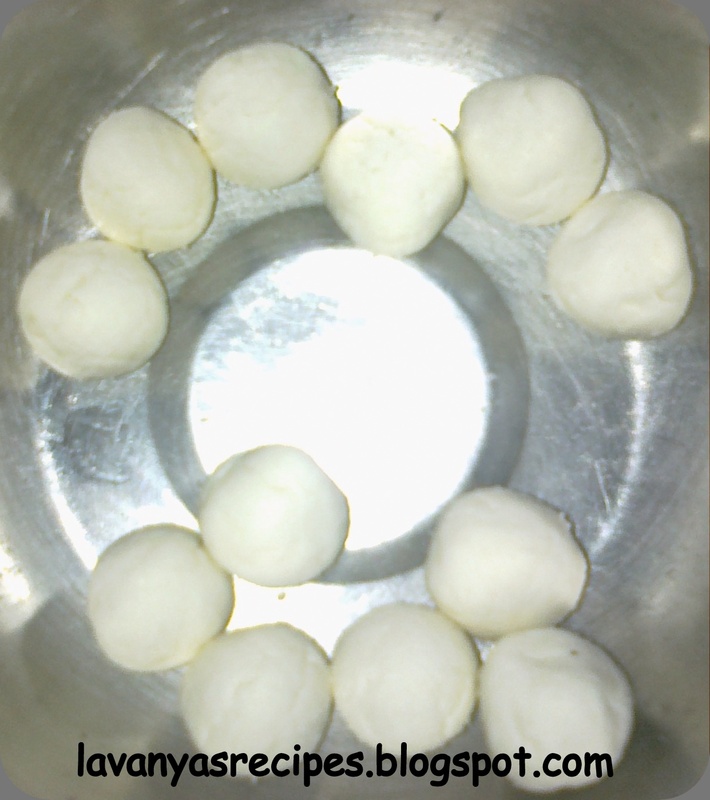 Roll the dough into balls of very small size(the rasgullas double in size in the sugar syrup, so shape accordingly). Prepare sugar syrup by adding sugar and water. Add a pinch of cardamom powder and let the syrup boil and become thick. Then add the balls slowly into the syrup. Close the lid and keep on medium heat for 5 min. Then keep on low flame for 10 mins. This allows them to get cooked evenly. Once done, cool it and serve chilled. 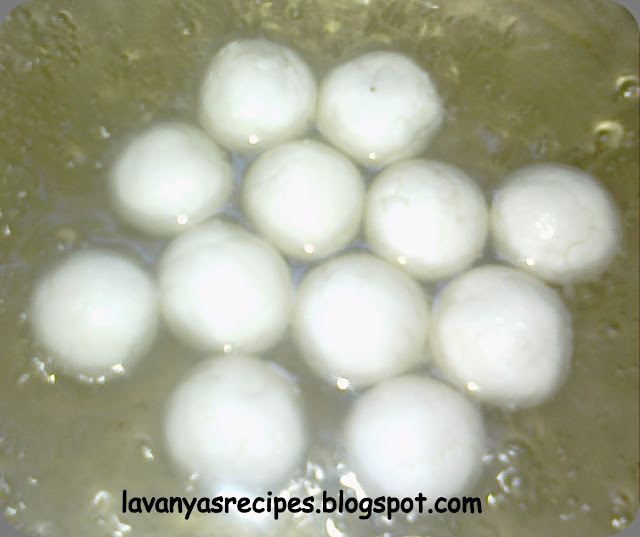 wow .. yummy looking rasgullas ..
yummy rasgullas.my all time favorite.